Should I Hire a Lawyer who Comes Unsolicited to my Hospital Room or House? | Riverside Personal Injury Attorney You are in a Riverside auto accident, and attorneys start to show up to your home or hospital room. Should you hire the attorney who comes to you unsolicited? Being injured in an auto accident is stressful enough without having to worry about unethical lawyers trying to profit off your misfortune. Unfortunately, attorneys who use runners and cappers, or who engage in that conduct themselves, are violating the law and acting unethical. About Runners, Cappers and "Ambulance Chasers"
A runner or capper is anyone who is acting as an agent of an attorney to secure business for the law firm. Typically, this is a person who approaches an accident victim or the family's victim soon after an accident to persuade them to sign up as a client. These individuals are not lawyers themselves, but are generally paid a flat fee for each person they bring to the firm with a bonus for cases that involve above-average settlements. The general public sometimes refers to runners and cappers as "ambulance chasers." Runners and cappers are taking advantage of injured persons when they are the most vulnerable. They know it is impossible to adequately research a lawyer's qualifications when the victim is in the hospital or the family is grieving over a death. Frankly, they utilize the emotional difficulty as a tool to manipulate the victim into believing they are need to sign a retainer agreement immediately. Attorneys who use runners and cappers do not have your best interests at heart if they are willing to violate the law merely to sign up a client. Many of these attorneys are looking for a quick profit, which means they will push you to settle your case as soon as possible. Typically, this may result in a settlement that's insufficient for your medical expenses, lost wages, and pain and suffering. According to the California Business and Professions Code §6152(a)(2), it is against the law for an attorney to use a runner or capper. This means that a contract obtained in this manner cannot be enforced, so you are entitled to a refund of the legal fees paid to your attorney if you have been capped and settled. However, in order to recover from your attorney who capped your case is to hire another attorney to pursue your right to a refund of your attorney's fees paid by you to the lawyer. Additionally, the attorney engaging in this illegal conduct can also be criminally prosecuted. An experienced personal injury attorney who adheres to a strict code of ethics does not rely on any sort of paid referrals to solicit new business. Instead, the attorney will advertise through traditional means and obtain voluntary word of mouth recommendations from past satisfied clients. 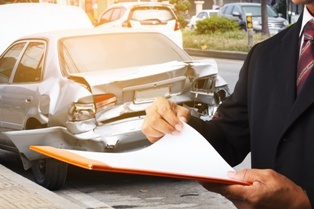 If you have suffered injuries in a car accident, the legal team at Inland Empire Law Group can legitimately help. Additionally, the Inland Empire Law Group is willing to help victims receive refunds from attorneys who violate the law and use cappers and runners to get clients. Call today to schedule a free, no-obligation case review. (909) 481-0100 or (760) 243-9100.